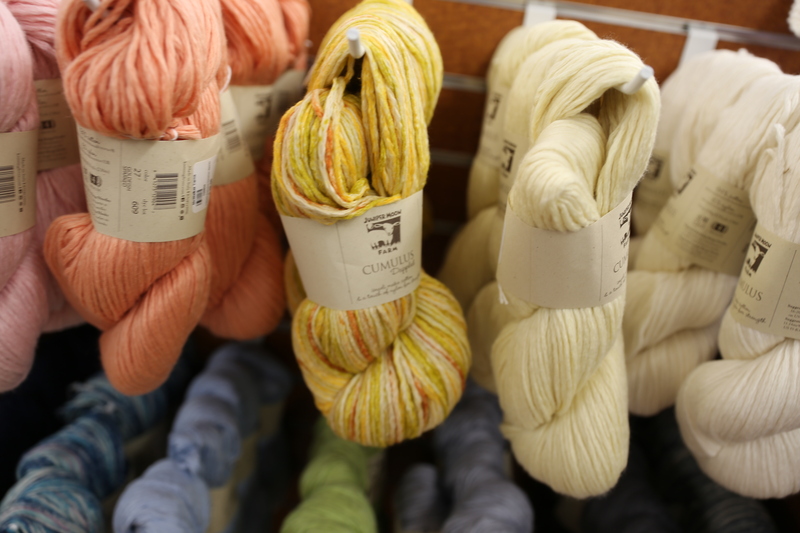 Stitch Party Yarn dyed locally in Millvale. 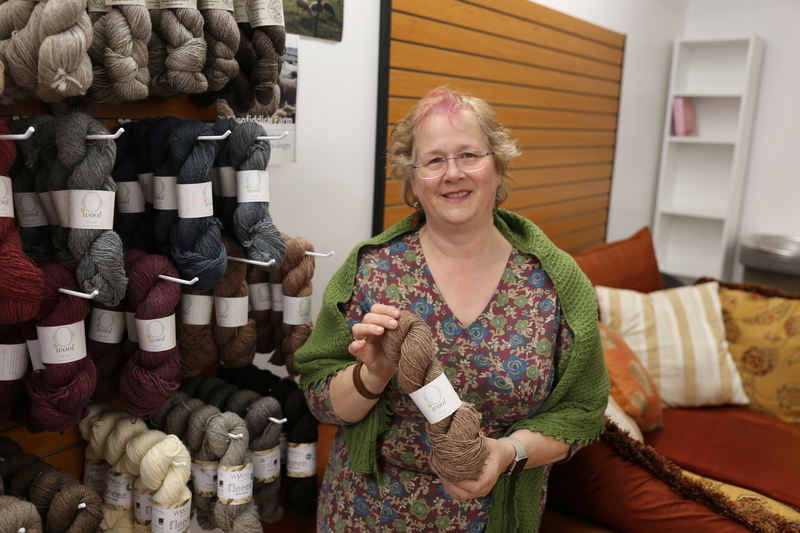 Three Pittsburgh area LYS have closed in recent months and what a loss to our community. How fortunate that Amy created a business plan and put in a lot of preparation and hard work to make her creative vision a reality. Millvale is a happening place, you’ve read many posts of mine before featuring all it has to offer. And it is just over the Allegheny River, not a long ride at all. 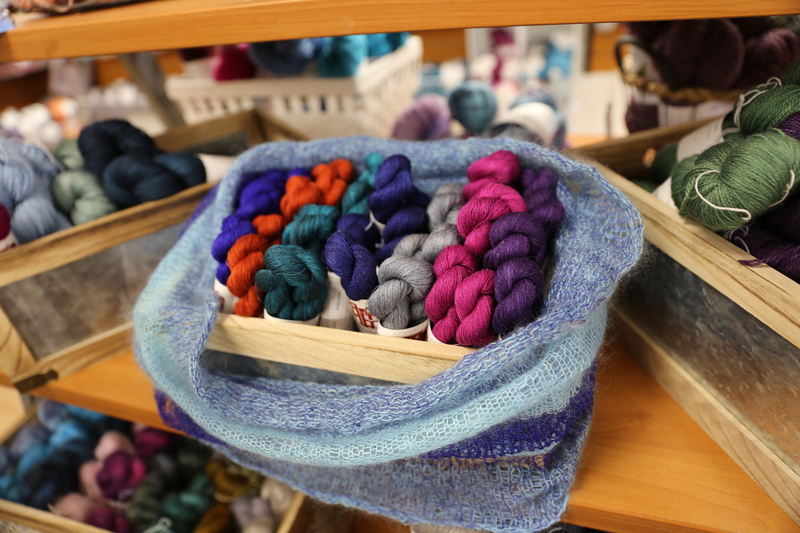 The store is laid out by the weight of the yarn which is so helpful when you are trying to find just the right yarn for a project you are dream knitting in your mind. Need help finding something specific? Check out this thorough colored labeling system. 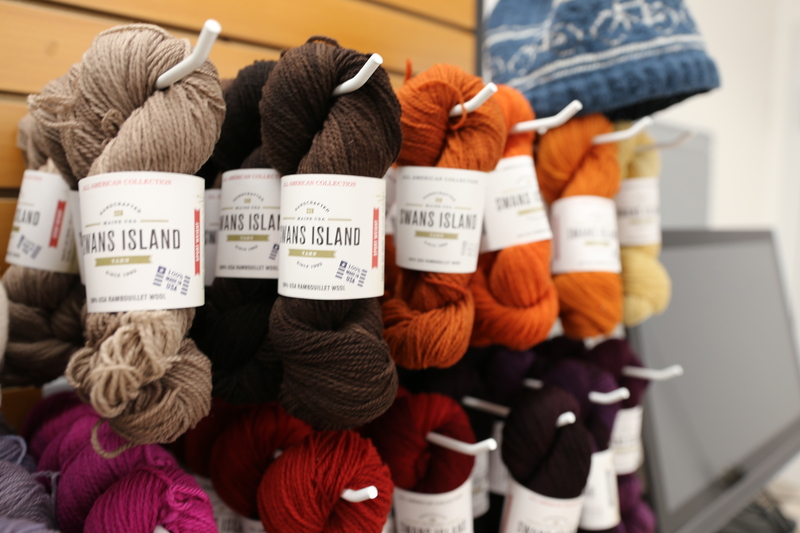 Be sure to see and feel the variety of Swans Island Yarn from Maine. The Bicycle Hat is a bit blurred but if you know a cyclist, I know they’d love you to knit them the hat! Looks like an inviting couch and chair to sit and knit a bit! Wishing you all the best, Amy, as you launch your wonderful McWalker Yarns store tomorrow! They’ve been open since Halloween. Today was my first visit. You know how I zip across the Allegheny River to get my framing done at Panza Gallery, sip a brew and eat a dinner special at Grant Bar or load up on Brioche and macarons at Jean-Marc Chatteliers Bakery? Millvale PA posts frequent the blog. This afternoon I stopped in the Tupelo Honey Teas Cafe and had a delicious ginger tea.